Same GC. Same Software. Better Data. 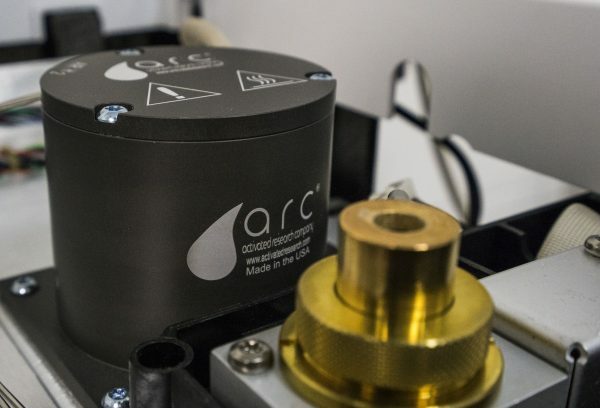 The Polyarc system is a breakthrough innovation that combines catalysis with chemical analysis to revolutionize 60 year-old GC/FID technology. Give your FID a universal and uniform carbon response with a 7-order of magnitude linear range from <100 ppb to 100% for nearly all organic compounds. The Polyarc technology converts all organic molecules to methane after chromatographic separation for a truly uniform FID response. Improve your data quality, diagnose GC issues, and speed up analysis. what are current polyarc users saying? ...makes compound independent calibration possible, saving time and cost associated with calibrations"
...allows compounds with little to no response in the FID to be analyzed, further simplifying GC operation"
...enhances analytical capabilities, allowing chemists to perform analyses previously inaccurate or even impossible." ...allows us to get a closer formula on the first injection, eliminating re-runs and saving valuable time." Improve accuracy, precision and sensitivity with a uniform FID response. Better data quality leads to improved decision making and more reliable products. Run fewer samples by reducing the need for traditional calibration curves, while accurately quantifying all species. Simplified workflow means greater productivity. Achieve a more cost-effective, time-saving, and productive operation. Use resources more efficiently. Reduce time and cost associated with purchase and preparation of calibration standards. The Polyarc System is now available from Agilent Technologies, Inc. Conversion of all organic compounds to methane yields a universal FID response, seamlessly integrating into all GCs.